Our jobs are changing as we transition into creative roles, while data and personnel roles are handled more efficiently by these automated systems. Take Human Resources Information Systems for example. HRIS technology has revitalized the once bogged down human resources department. With these systems, businesses can streamline processes, and better access and analyze real-time data to make educated decisions. To fully understand the value and functionality of HRISs, you need to understand the processes, advantages and advances that make the technology a worthwhile business investment. G2 Crowd defines a Human Resources Information System as a database that stores employee data to make the various processes of an HR department seamless. This localization of this data makes it easy to analyze and access. By using an HRIS, a company can efficiently keep track of employee data to improve the workflow of bookkeeping, payroll, performance review and applicant tracking. The best part? HRISs are customizable to meet a business’s unique requirements. After all, traditional data entry and profile creation leave much room for human error, while HRIS is advanced in how it stores and interprets data. These systems have seen significant changes and transitions over the years. The truth is, these systems have been around for over five decades — and technological advancement and a better understanding of business growth has helped these systems evolve. Before such advancements, HRISs were used merely as a system to store data while companies wrapped their head around the transition from paper to digital file management. Paper and spreadsheets were once used to maintain and organize data, but digitizing the process through software catered to the needs of tasks specific to HR departments has proven to provide immeasurable value. Nowadays, these systems aren’t just a way to digitally store records. Instead, they are responsible for carrying out the monotonous tasks that businesses once used many resources to complete. Data is no longer a slow process to enter and analyze, as these systems provide up-to-the-minute data updates. Thanks to these developments, employees can concentrate on complex, challenging and creative tasks instead of having to apply their time and talents into something repetitive. According to Capterra, the cost savings companies see after integrating an HR software is the equivalent to 22 percent per employee. Employers are able to save money on the resources usually used for these HR tasks and better apply employee time to more profitable roles. As mentioned, HRISs feature essential functions that help a human resources department run smoothly. The system provides ample benefits for management and administration as it stores information efficiently. Additionally, it streamlines employee and staff training by making the onboarding process infinitely more manageable. It also makes it easier to track applicants and recruiting by storing all hiring information. This is more cost-effective and time-effective than asking an employee to sort, organize and maintain all this essential information. The hiring process is streamlined with HRISs functionalities. Staff training for advancement or new hires is another useful functionality of HRISs, as it makes onboarding less of a tedious process. The resources and paperwork that traditionally goes into this process are made digital which helps to plan and organize files and any training resources efficiently. HRISs streamline the entire process from hiring to training to reviewing. The software makes it seamless to create an employee review that is thorough and organized. It even generates HR reports of such reviews! Finally, these systems also streamline payroll and benefits administration. This cuts down significant resources that would be used throughout the hiring and training process, payroll setup, and administration of benefits. There is not one process involved in the employment and employee satisfaction process that isn’t taken care of by HRISs. 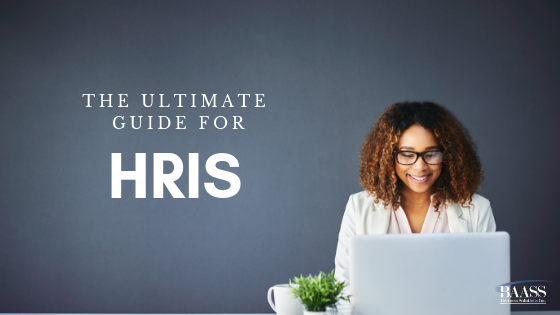 There is no denying the efficiency, organization and seamless workflow that HRIS offers in a business setting — but it’s advantages don’t stop there. Businesses can save time and resources, and better distribute such to complete more worthy tasks. What were previously tedious tasks that left much room for human error, are now completed with ease. Even more importantly, with an automated process to organize data and information, companies have up-to-date information on hand to help them make educated decisions regarding business growth and task management. HRISs are also a major help when it comes to the hiring process. As mentioned, these systems can maintain recruiting and hiring data. Additionally, HRISs make it possible to make the application process significantly easier for potential employees. With so many people sending job applications online, it's vital to have a digitized process that successfully takes an applicant along on its journey by making it easy for them to fill out relevant information and send required documentation. HRISs makes the processes of both sides seamless, thereby making the hiring process more efficient and effectively selective. After all, according to Empxtrack, 75% hiring managers and recruiters use recruiting or applicant tracking software to streamline these processes. Like any stage of business growth, the transition process of an HRIS is imperative. For your HRIS to be effective, it needs to be implemented properly, with the right people involved. An automated system designed to improve workflow can only be effective if pre-existing workflows (and issues within them) have been identified and considered. Open Discussion: Make sure that everyone is on the same page. You can’t implement a new system and expect it to be effective if people aren’t aware of the change. Make employees, managers and other players in your business aware. It’s not enough to share that an HRIS is being implemented, but how it will be implemented and why should also be communicated. An open conversation is essential so that employees understand how their roles will change, and so that they will be able to best prepare for that change. To be honest, other important players in your business should be notified before an HRIS is thought to be implemented. There are a variety of softwares available, so it needs to be discussed what exact problems in growth management you are looking to avoid, and address head on how this will impact your business processes on a day to day basis. Give the different players filling the varying roles in your business the chance to provide an opinion on the best HRIS to implement, and what should be changed as a result. Accurate Data Implementation: If your HRIS is going to be effective, the data it is originally provided needs to be accurate. This is not a process to rush through — considering resources, cost and time will be saved when the HRIS is up and running, for it to be effective, the time and resources will need to put into the system's implementation. Proper Training: HRISs are less effective when they aren’t used properly. It is worth investing time and resources to accurately train employees on how to use the system. After all, there are a lot of personal tasks that rely on employees accessing information and documents through the system to independently complete — and how are they supposed to do that without adequate training? Ensure Data is Secure: According to BambooHR, 70 percent of companies are in the process of analyzing and integrating employee data to better inform their decision-making. That being said, only 10 percent of that total is ready to protect the data input into these systems. HRISs are meant to store important employee data and information about performance, payroll, benefits, etc. In reality, this is private information that should be secure and protected. One Time Data Entry: By having one universal database, data only needs to be entered once and then will be applied to various relevant documentation and files. Employee Self Service: Business Dictionary defines ESS as the element of a digital system that allows employees to personally manage their payroll and other personal information. It also provides them with the ability to personally update information regarding vacation, benefits, banking etc. Benefits Accessibility: This goes hand in hand with ESS, as providing employees with the ability to manage their benefits removes the need for HR workers to manually go through these processes and information with employees. With an HRIS, employees can personally manage, track and allocate their benefits. What Other Softwares Are Used Alongside HRISs? ource departments are comparable to payroll departments in how they are very dependent on manual data entry and organization. Once you introduce task and data management into a workforce through a software well suited to a company’s needs, you can amplify the efficiency by integrating other softwares. This way, multiple systems can work in tandem and inform one another. In addition to HRIS, human capital management and human resource management systems have also been developed to improve the efficiency of this department that companies rely heavily on for staff management. Can my HRIS integrate with my ERP? Business efficiency and growth happens when multiple systems are integrated together to meet a company’s unique needs. That’s why it’s so beneficial — especially for large enterprises with many intertwining processes and workflows — to use an HRIS alongside another software. ERP softwares are the most common interface to get integrated with an HRIS. Known as Enterprise Resource Planning, these softwares help companies with planning, ordering, tracking and managing inventory and processes. Using these two systems in tandem helps for more accurate data as it’s inputted into two systems that use the information for different purposes. Plus, this removes the necessity of two different people at two different periods of time inputting the same data. In addition to saving time and resources, integrating technologies helps companies reach educated conclusions and make well-rounded decisions based on up-to-date information. For example, you can better analyze the reasons and results of turnover, or how your bottom line was impacted by new hires. HRISs are incredibly efficient and productive in how they streamline processes. As a result, they are able to save money, time and resources. These systems are equally as advanced as other softwares that organize other workflows so when working alongside one another your business can achieve passive growth. Automation and integration make for immediate access to information, data accuracy, employee independence to manage personal information and more. Processes are made more straightforward, which keeps output and deliverables consistent, accurate and efficient. Integrated and high functioning systems like HRISs give businesses big, medium and small the tools and resources for ample growth and effective task management. Senior Business Consultant, HRIS Practice Leader - Nancy is our HRIS Practice Leader and has over fourteen years of experience with BAASS. 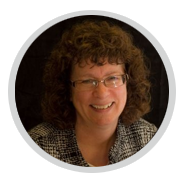 Nancy started as a Senior Business Consultant with Sage 300 ERP (Accpac) with emphasis on the Not-for-Profit sector specializing in Payroll & HR Management Systems. She became certified in Sage HRMS in 2006 and eventually moved her focus to strictly Human Capital Management consulting and development of the HRIS Practice at BAASS.